There’s something to be said about being organized. Allen’s thought process was a beautiful way to wrap up an amazing two-day conference full of awesome speakers, panels, content and, most importantly, all of us who love and use Evernote on a daily basis. On to the good stuff. Below are some of my favorite moments. If you were at the conference, I’d love to connect with you if we haven’t already! I still have no clue how the Evernote team narrowed down to the final six teams. Here’s how the awards broke down this year. The blogging platform from Canada called Postach.io takes the content you are already putting in Evernote and makes it easy to publish on your blog. Postach.io took home the Gold Devcup award and you can watch its presentation on TechVibes. Context Booster from Germany took home the Silver Devcup award. For those of you doing research and putting together content for your blogs (agents, I’m talking to you), this app is something you’ll want to check out. The Bronze Devcup award went to South Korea-based Biscuit, which is a mobile dictionary that easily translates clipped words into several different languages. If you’re a fan of EverClip, the team at Ignition Soft from Hong Kong was back with its new app called Lightly. The SmartTM team from Poland is all about GTD and task management, and Taiwan was represented by the team from Xing, a mobile client that works with Evernote to help organize travelers’ plans. Did I mention MC Hammer was there to hand out the awards? Who knew he was an Evernote power user? You can read more about the Devcup finalists on Evernote’s blog. I can nerd out about a lot of things, but office supplies are one of my favorites! Evernote CEO Phil Libin announced their partnership and made sure to point out that going paperless is not the goal, but eliminating the stupid uses of paper is. I see only positives with this partnership. 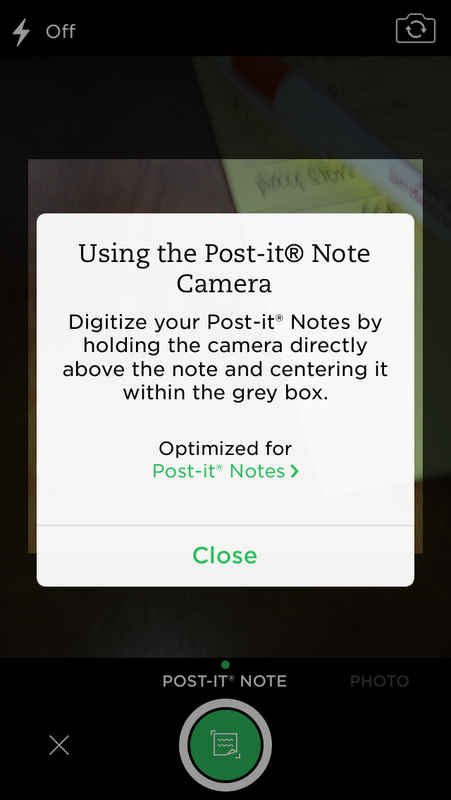 If you’ve upgraded to iOS 7.0.2 on your iPhone, you’ll notice when you take a photo, Post-it note is now a camera option. The options take it even a few steps further. Organize certain colors of Post-it notes to sync up to specific notebooks in your Evernote account. Easily snap a quick photo of your Post-it note and Evernote will enhance, OCR the text, and save it to your notebook. You can also take multiple photos at once for easy saving. 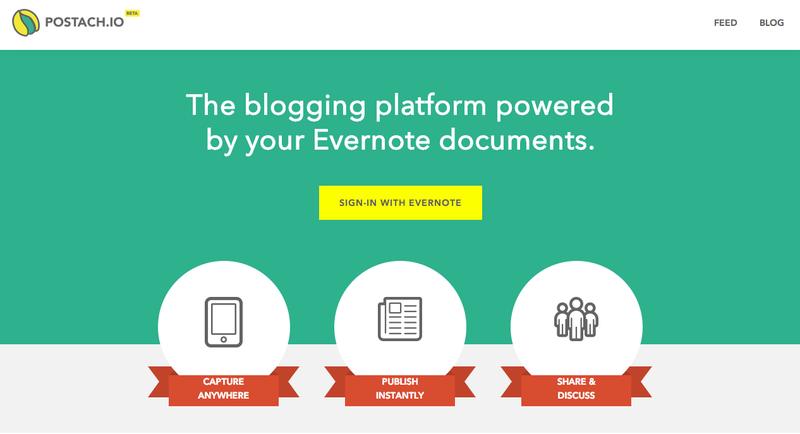 Check out more about this in the Evernote Market. 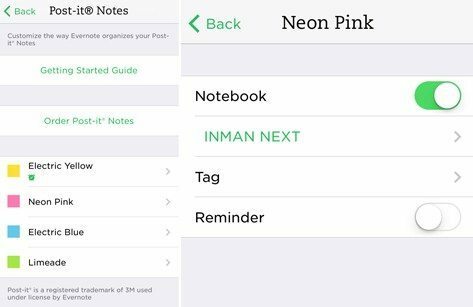 I’m obsessed with this Pinterest board full of ideas on how to integrate Post-it notes into your Evernote. Finally, a stylus worth buying? 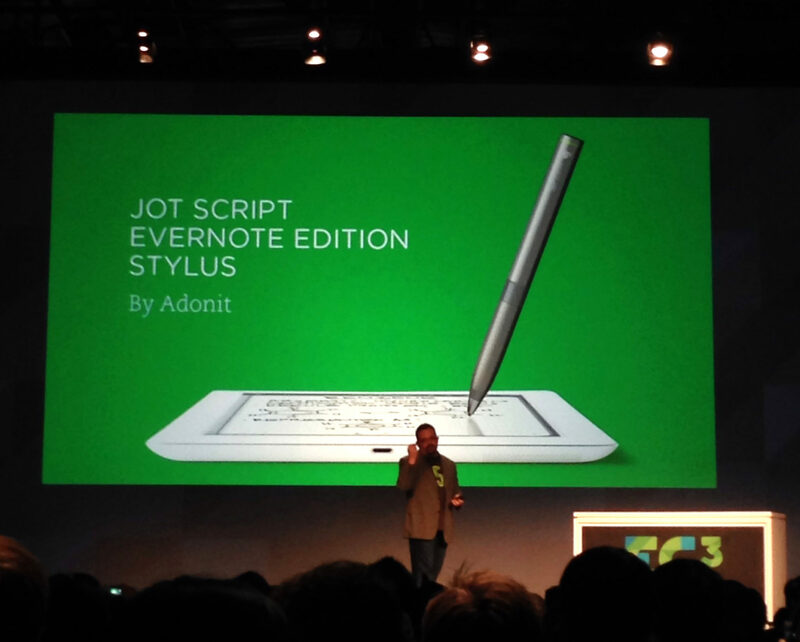 Another partnership announcement was with Adonit and the release of the Jot Script Evernote Edition stylus. Seriously, this pen is going to be a winner in the world of crappy styluses out there and I cannot wait until mine comes in the mail! Evernote Trunk is now Market. Don’t worry, you won’t be disappointed. I wish I would have kept count of how many times Phil said “beyond the app” — it’s a huge push for Evernote. Evernote Web clipper for Chrome. Download it. It will change your life. Alarms, to-do’s and pinning are now a part of Reminders on all Evernote devices and platforms. Evernote Business 2.0: Now you really have no excuse for making uninformed decisions! Expected to be released on Oct. 3. Evernote for Salesforce.com. 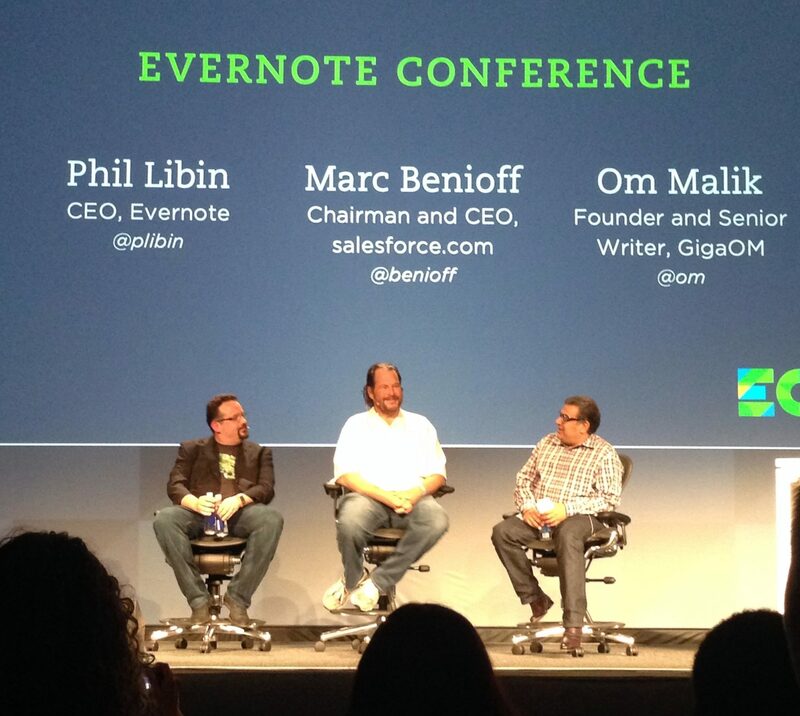 To see Phil Libin, Marc Benioff and Om Malik on stage together was a true highlight. I’ll be interested to see what happens with this partnership. Amazing panelists like Randy J. Hunt, creative director at Etsy; Chris Anderson, CEO of 3D Robotics; Brit Morin, founder of Brit + Co.; technology adviser Peter Gold and digital marketing consultant Stacey Harmon rounded out an amazing two days that I’ll never forget. I cannot wait until next year. Evernote has accomplished a lot of great things in its first five years. Here’s to 95 more! Were you at the EC2013? I’d love to hear a favorite moment of yours! Check out more photos from the event here.